Not everyone is cut out for a sales rep position in which people skills and rapport are key. Sales representatives rely on communication to create new customers and solidify business connections. The position’s compensation typically relies heavily on commission, making the candidate’s need to succeed incredibly important. How can both company and candidate know if there’s a good mutual fit? Potential sales reps and hiring managers alike can prepare for an open conversation with these sales rep interview questions. How do you open a conversation with a brand new lead? Whether the company’s sales reps conduct their majority of their communication via phone, in-person, or online, the opening line of a conversation can make or break a deal. Cold calling, especially, requires great intuition for how to read new leads. What’s your experience in a customer serving role? Another great interview question for sales reps is about experience with previous customer-facing positions. Familiarity with the customer service space helps ease the transition and set realistic expectations for the job. Not everyone will succeed as a sales rep, so use the interview as a time to find any transferable skills or applicable experience. What strategies do you use to build trust with others? Today, sales channels range from traditional in-person and phone communication to social media and text. What methods has the candidate relied on to build rapport and trust with clients? Ask about their preferred tools and conversation strategies. If these don’t align with the processes your company already uses, you may be able to learn something new from the candidate. Afterwards, give a few scenarios of different client types to gauge how innovative and flexible the candidate is. Because charisma and personality are cornerstones to successful sales reps, interviews are ideal to measure this. This question is two-sided and measures ability to represent a brand and the personal meaning the company holds. While basic sales skills are a necessity, loyalty and connection to a brand can signal a long-term tenure at the company. See what background the candidate has with your service or product. Is there a specific reason he or she is applying to your company or industry? How do you keep motivated when faced with setbacks? Ask sales rep interview questions to reveal personal drive and ambition in a candidate’s past experiences. See how they’ve reacted personally and professionally when encountering multiple obstacles. Because this position is highly dependent on commission, a series of lost sales can be disheartening. As a result, it’s important for sales reps to be persistent and have positive go-getter attitudes. Need an extra hand to fill sales rep positions? 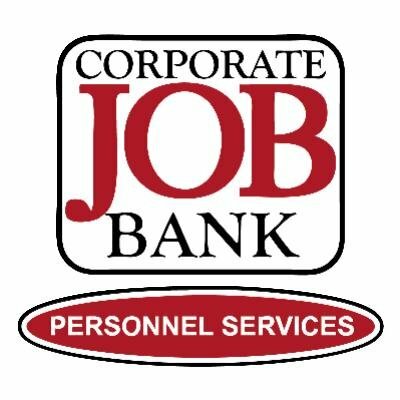 Corporate Job Banks specializes in staffing call centers for areas like in-bound and out-bound sales. Lean on our expertise in a variety of industries to ensure you have top notch sales personnel to grow your organization.